Plant acylcarnitines are present during anabolic processes of lipid metabolism. Their low contents relatively to the corresponding acyl-CoAs suggest that they are associated to specific pools of activated fatty acids. The non-proteinaceous amino acid carnitine exists in plants either as a free form or esterified to fatty acids. To clarify the biological significance of acylcarnitines in plant lipid metabolism, we have analyzed their content in plant extracts using an optimized tandem mass spectrometry coupled to liquid chromatography method. We have studied different developmental processes (post-germination, organogenesis, embryogenesis) targeted for their high requirement for lipid metabolism. The modulation of the acylcarnitine content was compared to that of the lipid composition and lipid biosynthetic gene expression level in the analyzed materials. 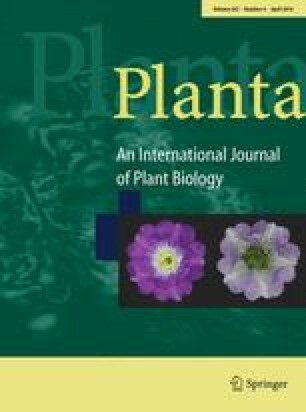 Arabidopsis mutants were also studied based on their alteration in de novo fatty acid partitioning between the prokaryotic and eukaryotic pathways of lipid biosynthesis. We show that acylcarnitines cannot specifically be associated to triacylglycerol catabolism but that they are also associated to anabolic pathways of lipid metabolism. They are present during membrane and storage lipid biosynthesis processes. A great divergence in the relative contents of acylcarnitines as compared to the corresponding acyl-CoAs suggests that acylcarnitines are associated to very specific process(es) of lipid metabolism. The nature of their involvement as the transport form of activated fatty acids or in connection with the management of acyl-CoA pools is discussed. Also, the occurrence of medium-chain entities suggests that acylcarnitines are associated with additional lipid processes such as protein acylation for instance. This work strengthens the understanding of the role of acylcarnitines in plant lipid metabolism, probably in the management of specific acyl-CoA pools. The online version of this article (doi: 10.1007/s00425-016-2465-y) contains supplementary material, which is available to authorized users. We are grateful to Dr. Laurent Gutierrez and Dr. Stéphanie Guénin from Université de Picardie Jules Verne (Amiens, France) for their assistance in RT-qPCR analyses and Franck Merlier from our group for his technical support in mass spectrometry analysis. We are grateful to Dr. Gustavo Bonaventure from Max Planck Institute (Jena, Germany) for kindly providing with the Arabidopsis mutant genotypes. We also thank a lot Dr. George Lomonossoff from John Innes Centre (Norwich, UK) for taking time to carefully read the manuscript. Finally, we appreciate the time and helpful comments from the reviewers. The work was supported by the French Ministry of National Education, Higher Education and Research.